Amazon Prime Day begins today at 2pm CT. 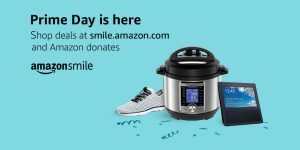 Whether you’re shopping for bargains, back to school, birthdays, or more, when you “start with a smile” and choose Ozarks Area Community Action Corporation as your Amazon Smile charity recipient, you’re supporting individuals and families across the Ozarks. Follow this link to easily connect: smile.amazon.com/ch/43-0836672.